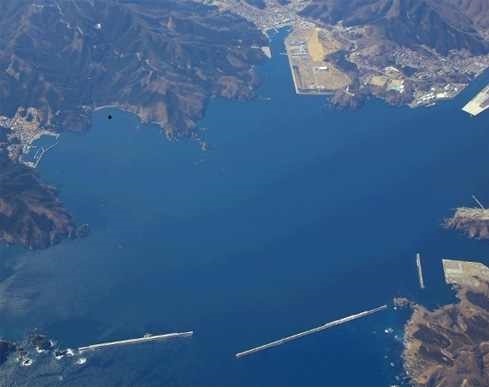 The offshore structures that restrict the inflow of tsunami and storm waves into a harbor by narrowing the entrance are Tsunami breakwaters. 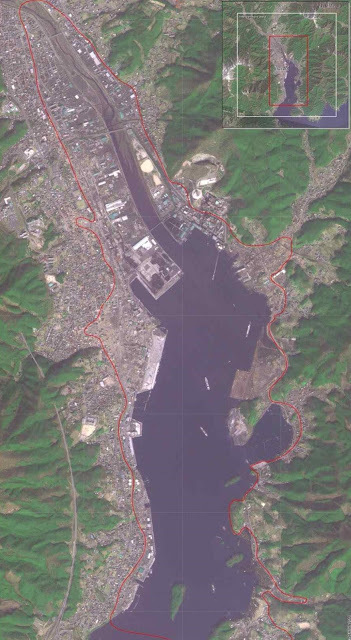 Using Google Earth a breakwater in Ofunato Bay on Japan’s Sanriku Coast can be viewed. 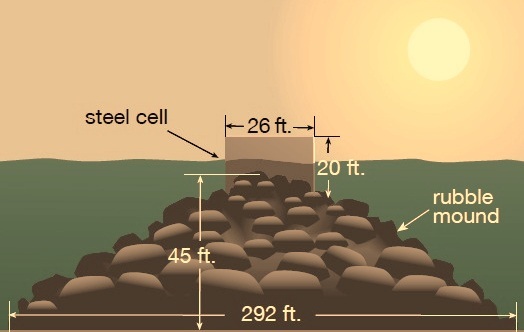 Breakwaters are built as underwater berms and topped with an armor unit that dissipates incoming wave energy. 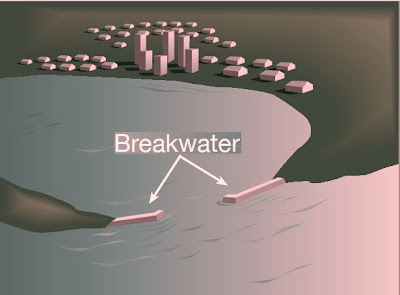 Breakwaters are subject to scouring (erosion) at the base of the structure. They also have the potential to change a bay’s environment by decreasing water circulation.